...... reporting agencies to dispute any negative items you may find. You simply enter in the required fields, click print and your dispute letter is created. Advanced features implemented are auto date, sort, find, import and exporting in all types of formats such as excel. You can even create additional databases if you like. The database will even store up to 100,000,000 Million entries! 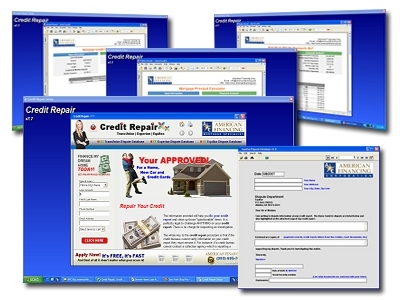 Free credit repair software to Erase Charge Offs and Collections ! Qweas is providing links to Credit Repair 7.7 as a courtesy, and makes no representations regarding Credit Repair or any other applications or any information related thereto. Any questions, complaints or claims regarding this application Credit Repair 7.7 must be directed to the appropriate software vendor. You may click the publisher link of Credit Repair on the top of this page to get more details about the vendor.